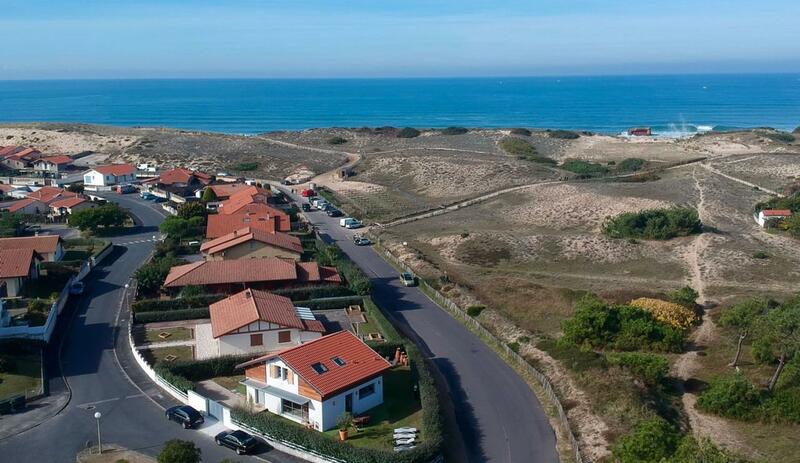 Newly renovated beach by the dunes of Plage La Piste, short cycle to shops and town centre. Aircon upstairs. 10% off all bookings made by 31.3.19. Save up to GBP 370/wk. All dates apply. GET QUOTE includes offer. 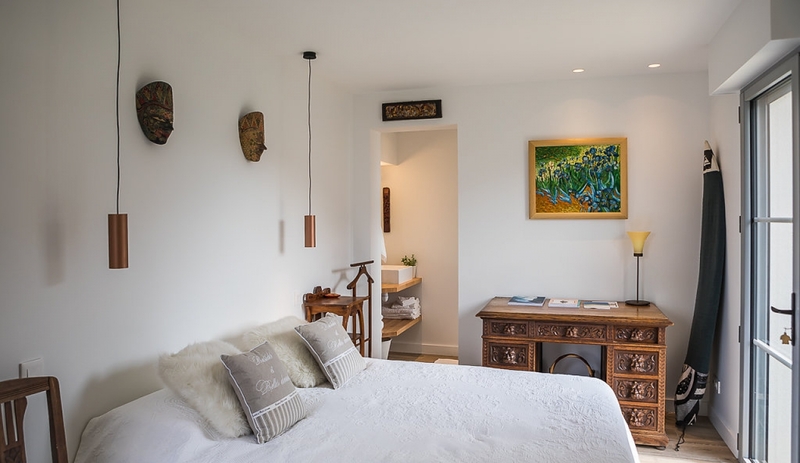 Optional extras: Filled fridge on arrival; first night pre-prepared meal; in-villa chef; extra housekeeping (pre-bookable & paid locally). 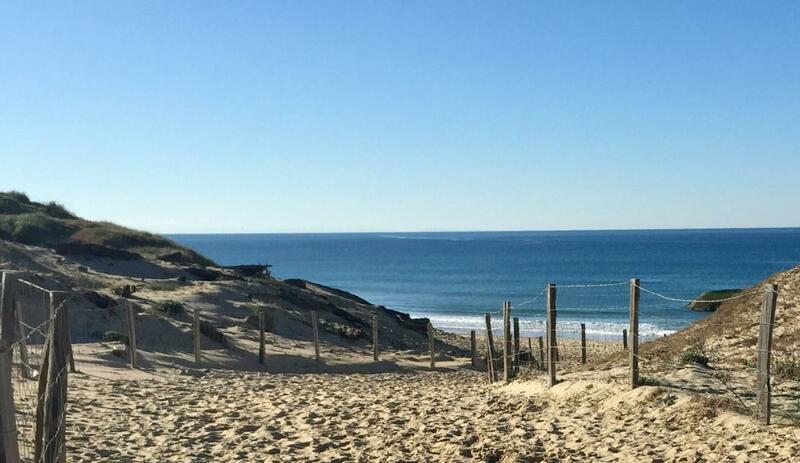 The demand for villas in the Hossegor area is far greater than the supply so we are delighted to sign-on Villa Mandurah. 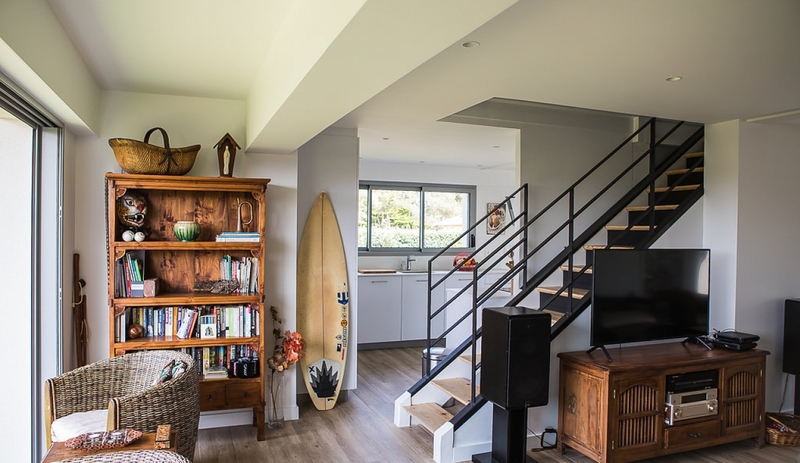 This newly renovated landaise beach villa is in a residential district of Capbreton, right on the dunes behind La Piste beach and its great attraction is the short walk to both beaches and amenities. Local shops and restaurants - seafood is a speciality in Capbreton - are close to hand. The villa has the added benefit of aircon in the downstairs living area and on the upstairs landing and the front bedroom. 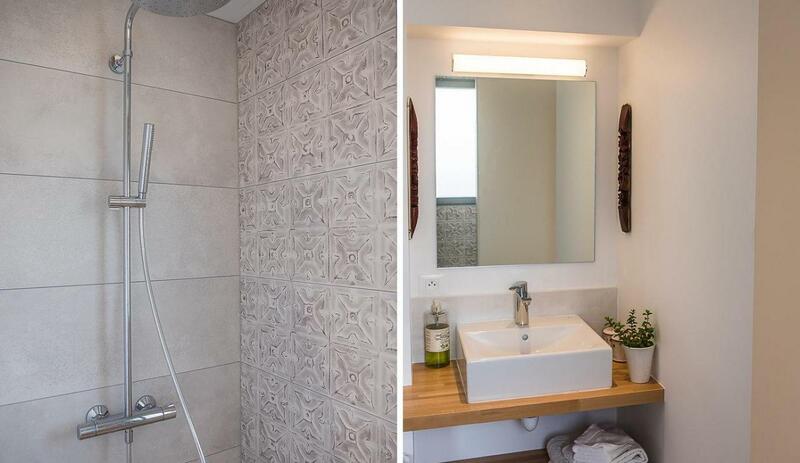 With the villa interior completely finished last year, 2019 will see the owners' attention switch to the outside areas. Decked terraces are being added to the front, side and rear gardens, all at the same level as the interior space, creating a natural indoor-outdoor flow. Fashioned in exotic Cumaru hardwood - to match the upper level cladding - the terraces will produce a garden designed for BBQ-ing and dining whilst relaxing in the beach-house vibe, listening to the surf. The upgrade will be completed Spring 2019 and new photos will be added to the gallery in May. Villa Mandurah is a great choice for a family in the summer who want very easy access to the beach. For couples into surf or golf, it's ideal in the shoulder months. Toddlers - enclosed garden, short walk to beach. The staircase is quite narrow so not ideal for really young kids. The villa can sleep 8 but we say it's more comfortable for a family of 5/6 max. It's an authentic working fishing port with a bustling sea-front and marina. 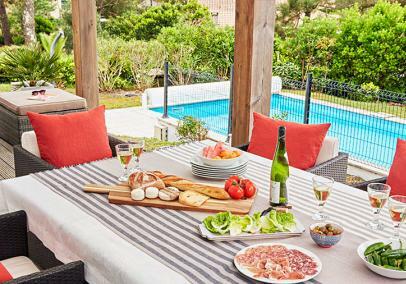 There's a lively seafood market, excellent seafood restaurants (the locals eat in Capbreton rather than its more illustrious neighbour, Hossegor) and a good selection of shops. 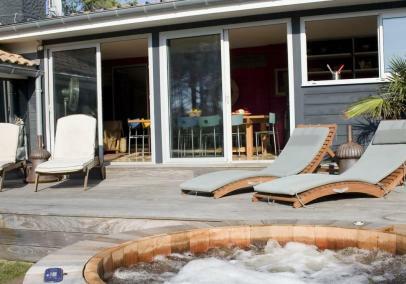 It is a welcome contrast to many of the 'purpose-built' resorts around the French coastline. 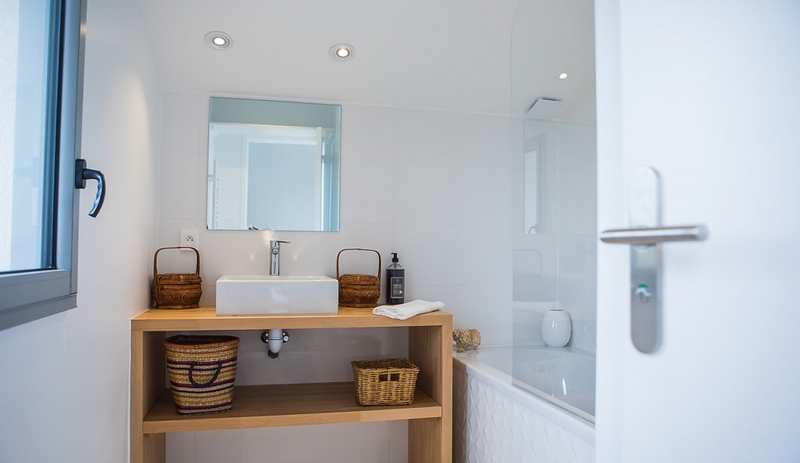 Villa Mandurah is a renovated landaise style beach house, right opposite the dunes and entrance to La Piste beach in Capbreton. 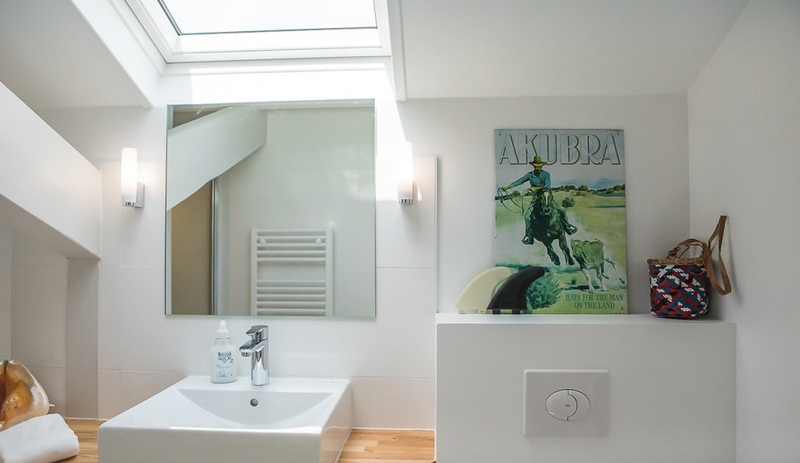 The house has been completely modernised, with off-road parking, aircon in some rooms, a sun terrace ideal for watching the sunset over the dunes and a modern, fresh open-plan living space. Off the entrance hall is the downstairs WC and laundry room with easy wheel chair access. 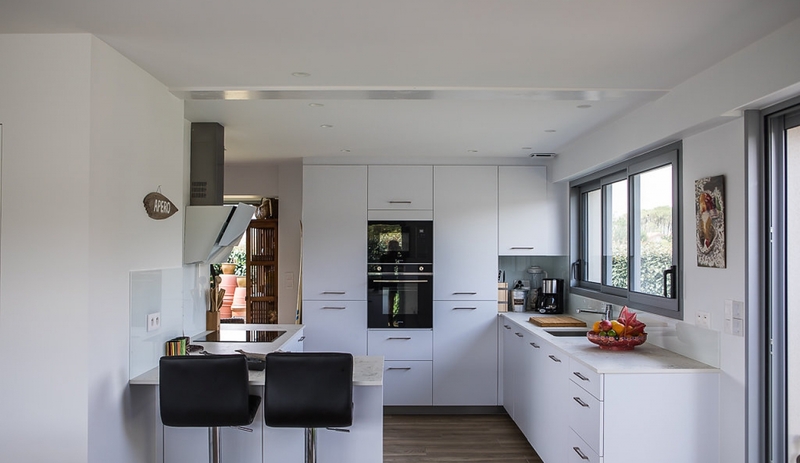 The hall leads into the main open-plan living space with sitting room (with L-shaped sofa, TV with Netflix, two comfy wicker chairs), dining room table with seating for 8 people, and modern bright, fully equipped kitchen with breakfast bar. The living space features aircon. 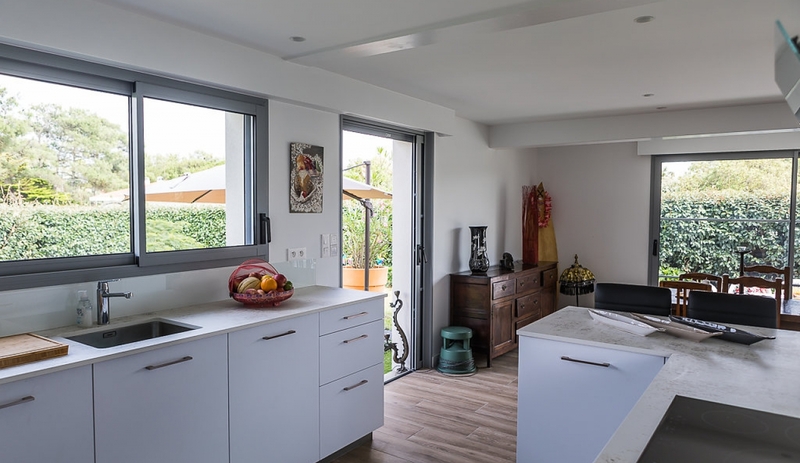 Patio doors that lead out to the garden from each area making the room very bright. 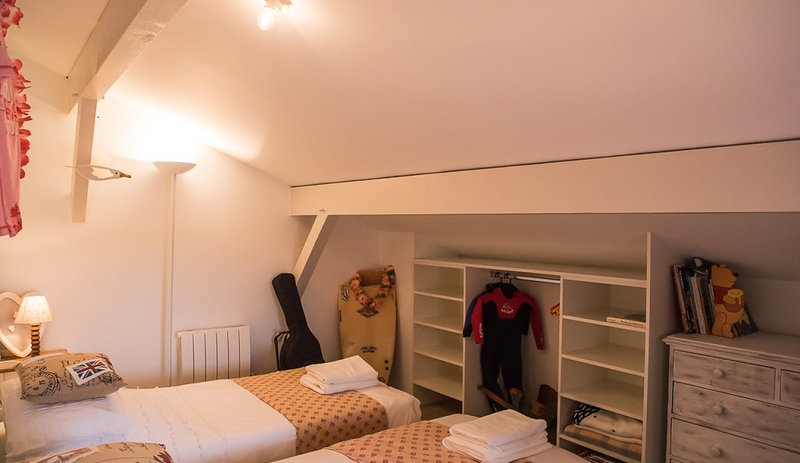 Bedroom 1 on the ground floor with a 160cm double bed, plenty of open wardrobe space and an ensuite shower room. There is a small staircase from the living room that leads up to a further three bedrooms. Bedroom 2 - master double bedroom (160) with ensuite bathroom with overhead shower. 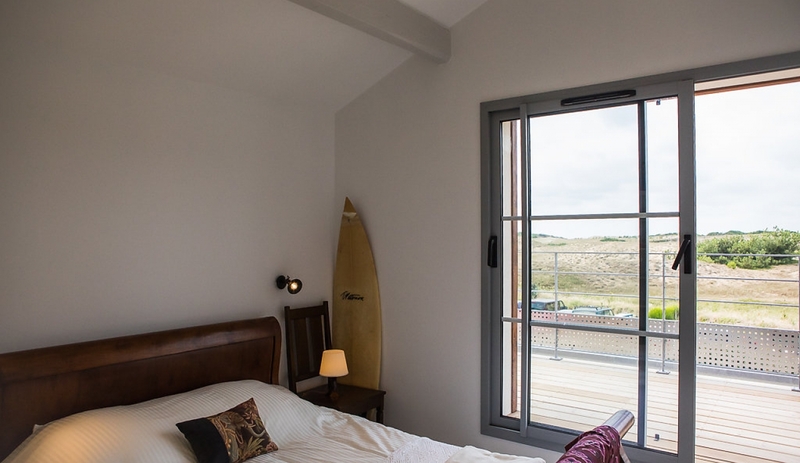 This bedroom provides the main access to the upstairs sun deck with ample space to sit and enjoy a glass of wine whilst watching the sun go down over the dunes. Bedroom 3 - double (140). Bedroom 4 - twin/double room with window access to the sun deck. This window is lockable so safe to be used as a kids bedroom. There is a shared shower room with WC upstairs. There is also aircon on the landing upstairs. The garden is fully enclosed with lockable gate. There are several areas for eating at different times of the day. Off-road parking for 2 cars (essential on the streets nearest the beach). 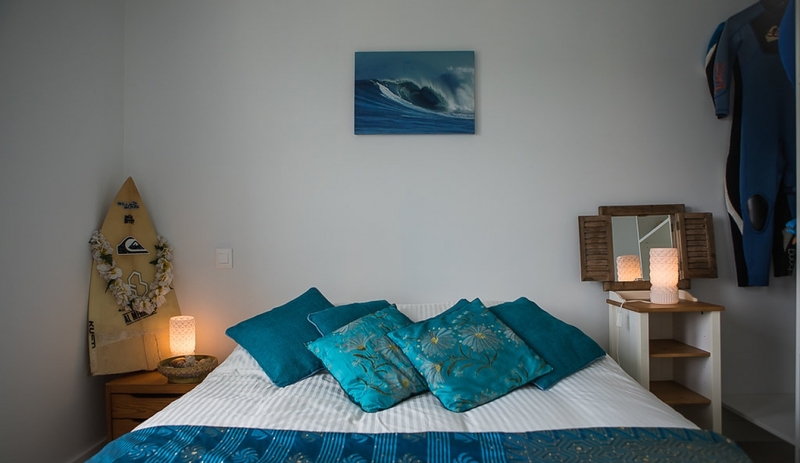 The villa is located on a residential road in Capbreton and is set back from the street. The local beach "la Piste", is less than 4 minutes' walk over the dunes. Similarly, local shops and restaurants can be found in 5-10 minutes on foot. This is a perfect place if you don't want to use the car too much. 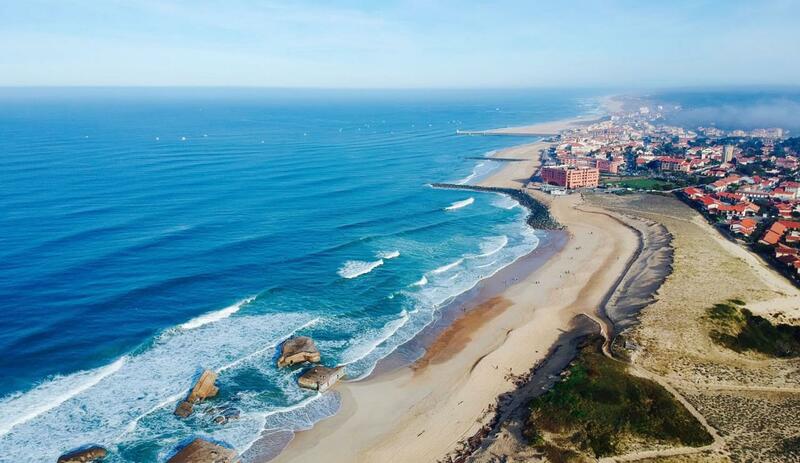 Capbreton adjoins Hossegor to the south and whilst the two districts each have their own centre, they are really only divided by the marina and harbour. 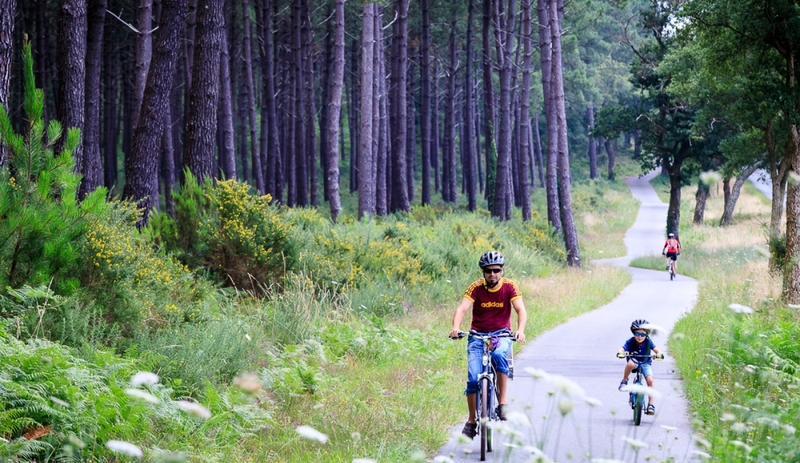 The resorts are found on the southern Landes coast about 40 kms north of Biarritz. Very handily, the airport and motorway and within easy reach. 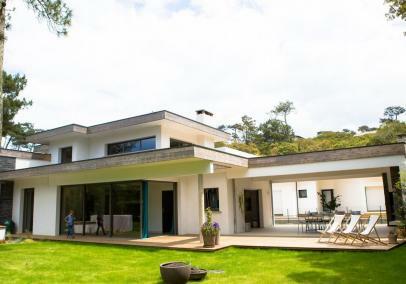 Product Comment: Thank you - so pleased you enjoyed the villa & location as much as we did!